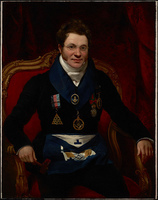 GARRY, NICHOLAS, deputy governor of the HBC; b. c. 1782, son of Isabella Garry; m. 4 Aug. 1829 Phoebe Vesey in the parish of St George, Hanover Square, London, and they had at least one son; d. 24 Dec. 1856 in Claygate, Surrey, England. Nicholas Garry was probably the illegitimate son of Nicholas Langley, a London merchant, who in 1783 was paying for his upbringing. Langley also left £1,000 in trust for the child by the terms of the last codicil to his will, drafted only a couple of weeks before his death in October 1783. Raised by Langley’s brother and sister-in-law, Thomas and Sarah Langley, Garry was well educated and learned to speak German, French, and Russian fluently. 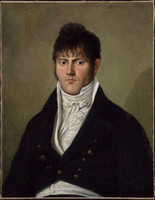 It would appear that for some time prior to 1811 he conducted a mercantile business in the Baltic timber port of Riga (U.S.S.R.) and in 1815 the London directory lists him as a member of the firm Garry and Curtis, trading between Russia and Great Britain. 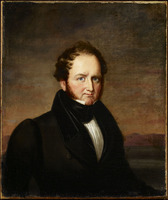 Thomas Langley had been appointed a director of the Hudson’s Bay Company in 1807, and ten years later Garry joined him on the London committee as a director. He does not seem to have taken a major role in the company’s affairs, which at this time included the preliminary discussions that led to the merger of the HBC and the North West Company. When an agreement was arrived at in early 1821, it became apparent that a representative from each company would have to meet with the wintering partners at Fort William (Thunder Bay, Ont. ), explain the new trade arrangements, obtain the partners’ concurrence, and visit the united company’s posts from Fort William through to the Red River colony (Man. ), Norway House, and York Factory. In February, Garry, the only unmarried member of the committee, volunteered for this “mission of adjustment and conciliation.” By the terms of the merger agreement signed on 26 March, the trading activity of the new HBC was divided into two jurisdictions, each to be directed by a governor and council. The Northern Department was to include the territory to the west of Rainy Lake (Ont.) and Fort Albany, and the Southern Department that to the east including Fort William. On 28 March the London committee appointed Garry president of the Council of the Northern Department, granting him the authority to do what was necessary to implement the merger agreement. Simon McGillivray*, formerly of the NWC, received a similar commission, on the understanding that he could exercise its powers only in Garry’s absence. Accompanied by former NWC partner Angus Bethune, Garry left London on 29 March 1821 and from this date kept a detailed diary of his journey. Another NWC partner, John McLoughlin, joined them in Liverpool and on 31 March the three men sailed for New York aboard the American packet Amity. From there, Garry departed for Montreal with McGillivray, who had arrived by another vessel. In his diary Garry noted with irony that but a few months earlier McGillivray had been known to him as “the most active and strenuous Opposer of the Interests of the Company I came out to represent.” In Montreal Simon’s elder brother, William*, joined the party and, travelling in a 36-foot birchbark canoe manned by 12 French Canadian voyageurs, Garry and the two McGillivrays made the trip to Fort William in 18 days, arriving on 1 July. The elder McGillivray delivered a frank explanation of the merger agreement to the NWC wintering partners gathered there; despite their initial indignation at the terms of the amalgamation, he persuaded them to sign the agreement and accept their commissions as chief factors or chief traders, which they did on 11 July. The distribution of posts was the next item to be considered. Garry, however, discovered that his commission and the powers of the Council of the Northern Department were only valid in Rupert’s Land and as a consequence he had no real authority to exercise his mandate at Fort William. The postings were nevertheless settled although, at least according to Colin Robertson*, this jurisdictional anomaly permitted Simon McGillivray to have his way in most of these selections. Garry’s diary, which on the whole is a descriptive and sensitive account of the people he met and the land he saw, is disappointingly silent on business matters such as these talks, reading simply: “Tuesday the 10th July [to] Saturday 14th. Discussions without end.” Garry proceeded to verify NWC inventories, lists, and accounts prior to their dispatch to London and on 21 July he left with Simon McGillivray for York Factory. 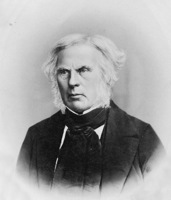 On 11 August at Norway House Garry presided over the first Council of the Northern Department, which endorsed the appointments made at Fort William and, despite Simon McGillivray’s objections, formally abandoned the Montreal–Fort William supply route in favour of the route from Hudson Bay through York Factory. The party then proceeded down the Nelson River to York Factory where on 23 August they were greeted by HBC governor William Williams*. Because of the animosity built up between Williams and the NWC during the bitter struggle preceding the union, McGillivray insisted that he be excluded from the governorship of the Northern Department. Garry, however, in a manœuvre designed to assert HBC authority over that of his fellow commissioner, decided to wait until after McGillivray’s departure for Montreal on 29 August to resolve the issue. He did, nevertheless, come to the conclusion that, for the sake of better relations with the former NWC men now conducting much of the trade, it would be more appropriate to place Williams in charge of the less important Southern Department. Pleased to learn that Williams himself preferred the latter position, Garry placed the junior governor, George Simpson, at the head of the Northern Department. With this final matter satisfactorily taken care of, Garry embarked upon the Prince of Wales and left York Factory for England on 13 September. 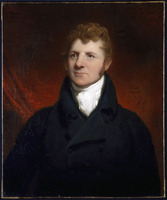 In 1822 Garry became deputy governor of the HBC. His role in the company from this date is obscure, although he does seem to have been interested in trade with Russia and China and in religious affairs. He was still deputy governor in July 1835 when, declared of unsound mind, he was relieved of his functions. He died 21 years later, never having recovered his sanity. During his mission to North America in 1821 Nicholas Garry had proven himself a tactful and humane diplomat. 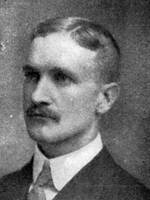 In his handling of the HBC–NWC merger, he had seized upon the company’s need for efficiency in the unified trade and realized that success lay in accommodating to a certain degree the former NWC men who would be counted upon to conduct much of the inland business. 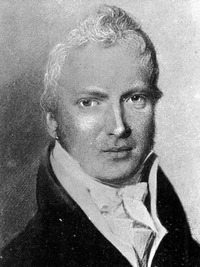 Pleased with Garry’s shrewdness and influence in handling these matters, in 1821 Williams reported “universal satisfaction, confidence, and unanimity.” In September Simpson noted that “our old opponents no longer received us as enemies but met us as aquaintances which I think will soon assume the character of Friendship. . . . Mr. Garry’s handsome and impartial conduct acted like Majick in removing all sort of jealousy, he was open and easy of access with the nicest observance of strict honor integrity and impartiality and so different in all these respects from his travelling companion Mr. Simon McGillivray.” The new HBC fort built at the Red River settlement in 1822 was named Fort Garry (Winnipeg) to commemorate Garry’s visit of 1821. The diary written by Nicholas Garry during his visit to North America in 1821 was edited by his grandson Francis N. A. Garry and published in RSC Trans., 2nd ser., 6 (1900), sect.ii: 73–204, under the title “Diary of Nicholas Garry, deputy-governor of the Hudson’s Bay Company from 1822–1835: a detailed narrative of his travels in the northwest territories of British North America in 1821. . . .” Garry is also the author of a short publication on the commerce between Great Britain and Russia entitled The origin and early history of the Russia or Muscovy Company . . . (London, 1830). GRO (London), Death certificate, Nicholas Garry, 24 Dec. 1856. Hampshire Record Office (Winchester, Eng. ), Reg. of baptisms, marriages, and burials for the parish of Lymington, 18 Oct. 1783. PAM, HBCA, A.1/51: f.82; A.1/56: f.92; A.9/4: ff.13–17; A.10/2: f.307; Nicholas Garry file. HBRS, 1 (Rich); 2 (Rich and Fleming); 3 (Fleming); 10 (Rich). London directory, 1815. Rich, Hist. of HBC (1960), vols.2–3. Glyndwr Williams, “Highlights in the history of the first two hundred years of the Hudson’s Bay Company,” Beaver, outfit 301 (autumn 1970): 46–47, 63. John McFarland, “GARRY, NICHOLAS,” in Dictionary of Canadian Biography, vol. 8, University of Toronto/Université Laval, 2003–, accessed April 26, 2019, http://www.biographi.ca/en/bio/garry_nicholas_8E.html.